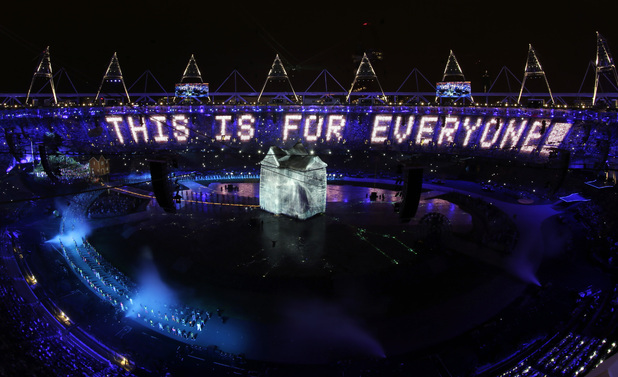 The London 2012 Games has been heralded as the first “Social” Olympics. The months leading up to the opening ceremony witnessed a proliferation of press releases as traditional and new social media organisations began forming their dream teams to cover the games from every angle. However, people are now wondering if NBC really thought about exactly who they were getting into bed with. Had they done so, they would surely have been aware of the stories of Twitter’s relationship with “live TV”? Clearly, Twitter has a type. Twitter lives for the moment and the most happening place on the planet is London for the Olympics. So while Twitter was in the thick of it; united with the world and buzzing with the latest news and chatter amongst friends its partner was tucked up at home in bed. It turns out NBC didn’t feel like going to a live event, but wanted to invite their friends round later to watch it on the DVR at home instead. Naturally this has lead to gossip that perhaps the veteran broadcaster is past it. Indeed, Twitter’s friends can be heard loudly sniping #NBCfail and criticising the boorish overbearance of NBC’s advertiser pals. In response the curmudgeonly broadcaster is grumbling that they should all be given an Olympic medal for “whining”. Clearly the honeymoon period is over. However, the relationship has not been a complete failure. There is hope. Stats from Bluefin labs show that NBC’s record breaking audience of 40.7m viewers for the opening ceremony generated 5M social media comments despite the tape-delay. Still, this is only a fraction of the 13.4M comments generated by CBS’s live Grammy Awards with 39.9m viewers. As such, it will be interesting to see the stats from their British cousin the BBC’s live, uninterupted coverage. NBC clearly has a lot to learn about its new young partner. Perhaps it is time for the two to sit down together and establish some rules with a deep and meaningful conversation about where their relationship is going. After all, NBC holds the broadcasting rights for the Olympics through 2020. In the meantime, the world looks on as #NBCfail continues to trend on Twitter.